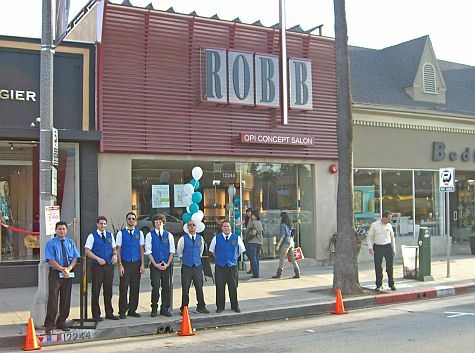 On March 19, 2009, Chuck's Parking Service provided valet parking for 150 guests for the grand opening of The Rob/B Salon in Studio City. The party was also the launching of OPI Concepts, a new line of beauty supplies. Chuck's Parking arranged with the City of Los Angeles for meters on Ventura Blvd. to be posted "No Parking" for a safe and easy guest arrival area.